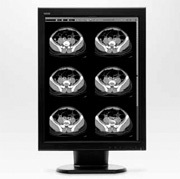 WIDE’s X-Smart Series display solutions raise the standard of medical imaging displays by delivering outstanding performance coupled with cutting edge innovations. The X-Smart Series is both ergonomically designed and environmentally friendly and it exceeds industry standards in healthcare imaging with an unmatched level of imaging performance. Our engineering teams are constantly seeking to introduce innovative ways to improve performance and add features that help medical professionals make the right diagnosis. In this way, WIDE creates the next standard to give physicians the precision to make lifesaving decisions with confidence. The rise of digital imaging technology has quickly changed the way in which patient data is used and distributed within hospitals. Medical images enriched with patient information are being shared beyond the radiology department, becoming available throughout the enterprise. WIDE’s R&D teams have spent countless hours immersing themselves in the hospital enterprise environment with one goal in mind-find innovative ways to improve performance, add functionality, and simplify operation. 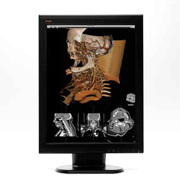 WIDE’s neX smart series of displays advances technology in the Radiology reading room where brightness, Image quality and DICOM 3.14 calibration, conformance and automation are a must. WIDE’s Clinical review displays are specifically designed for versatile clinical healthcare applications in this hospital-wide network of electronic medical records. WIDE’s comprehensive line of surgical displays provides superior solutions that meet and exceed all stringent surgical imaging requirements. The neX-Smart Series Auto-calibrating LCD display line furthers WIDE’s reputation as an industry leader in technology and design. 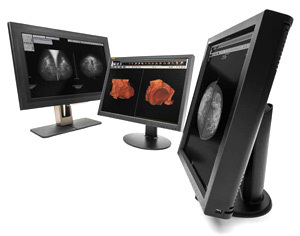 WIDE’s foresight into the demands of the digital Mammography, PACS and Clinical markets have brought the medical community a wide range of displays specifically designed for each imaging workspace within your enterprise. These environmentally friendly and ergonomically designed displays exceed industry standards with the new on-board IQ Sensor® bundled with a network calibration package for full automatic calibration, conformance, alerting and reporting. The neX-Smart Series line of self-calibrating displays is designed with the future of medical imaging in mind, featuring Ultra high brightness and contrast ratios and industry leading luminance uniformity performance. Utilizing superior IPS (In Plane Switching) technology, images appear bright, crisp, consistent and uniform from almost any viewing angle. Our 10-bit (10-bit for Red, Green and Blue) TFT LCD technology provides the display with over a billion shades of gray for true 10-bit expression on screen, bringing you the most precise and accurate grayscale expression possible. Our 14-bit LUT provides the display with over a billion shades of gray for precise expression on screen. 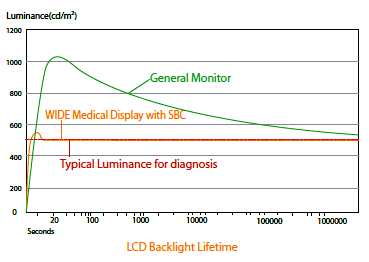 Maximum Luminance uniformity can be very challenging given the manufacturing process of an LCD display. However, WIDE’s background in and knowledge of display technology brings DUC (Digital Uniformity Correction) to the neX series of LCD displays. DUC helps ensure luminance uniformity across the entire screen and edge to edge. In order to meet the demands of the global marketplace, WIDE has built in five different levels of uniformity grades for individual customization. Our bonded protective panel adds durability to the delicate LCD display screen, extending its life and preventing much of the normal wear and tear seen by other LCD display screens. WIDE's new protective glass is mounted in a dust-free clean room and coated with double-sided antireflective material with nearly zero loss of transmittance. WIDE’s patented built-in IQ Sensor®, combined with bundled network calibration software, automatically calibrates the diagnostic display to the DICOM 3.14 standard. Along with hands free, auto DICOM Calibration, the IQ Sensor® utilizes advanced sensor technology for increased accuracy and enhanced sensitivity. 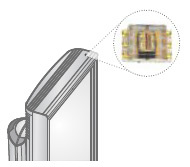 WIDE’s DAC (Digital Ambient Control) sensor is located at the top of each diagnostic display to monitor ambient lighting within the reading room environment and is critical to ensuring proper DICOM calibration. If significant changes are observed by the DAC, an optional alert can be sent to the QA administrator. 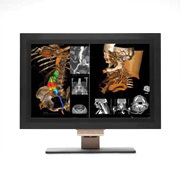 WIDE’s neX-Smart Series of diagnostic displays are equipped with both DVI and DisplayPort connectivity. Providing faster, more reliable delivery of data, as well as the versatility needed to be plug and play compatible with legacy systems. Each diagnostic display comes equipped with a built in LED Light, PrivateLite®, perfect for use in a dark reading room when a private, adjustable light source is needed. Most importantly, this can be used without disrupting workflow or altering the ambient light conditions for the entire room. Data Portability is crucial when it comes to time sensitive diagnostic readings as well as overall convenience. An easy-to-access USB port is located on the front of every diagnostic display for easy data transfer or download. 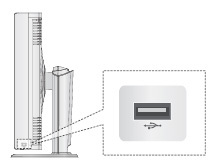 In addition, 3 other USB ports are located on the back of each display. WIDE’s Intuitive Graphical Onscreen display assists the user in navigating display settings and options very easily. Each diagnostic display offers multiple languages (English, German, French, Spanish, Italian, Russian, Japanese, Chinese, and Korean) for maximum convenience when adjusting the display settings and options. The well-designed cable management system for the diagnostic displays creates a very sleek, clean finish to the workstation. 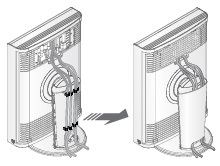 Each cable is securely seated, helping to avoid disruptions from cable adjustments or disconnections.